Our plumbers have been praised and approved by many across the Exeter area. Here at Bramshaw Plumbing and Heating, we employ a team of professional, reliable and skilled plumbers who specialise in a wealth of different services. 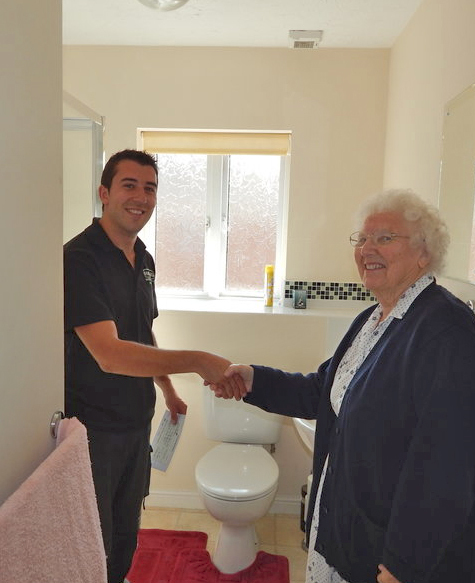 In this project one of our most experienced plumbers was called to an elderly persons property to carry out so simple plumbing work. Using his expertise, our plumber made sure that all work was completed to the highest standards and ensured the client of complete peace of mind.